And you thought nothing for your wedding could possibly cost $50! Well, think again! 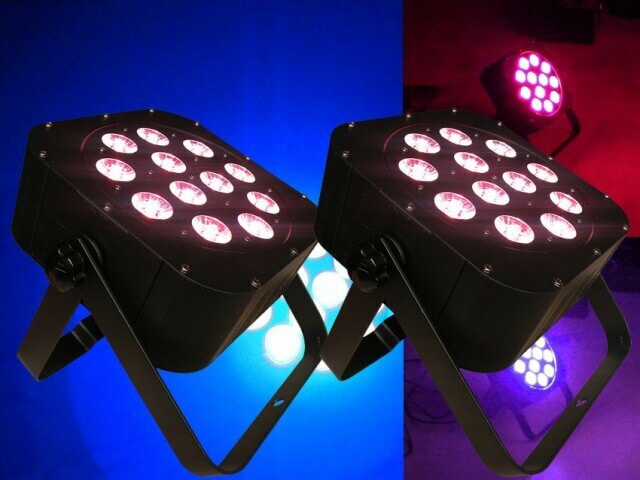 These two Uplights are perfect for use in weddings. They can be used as uplights either side of an entrance or either side of the cake, the buffet, bridal table or any other focus area. Alternatively they can be used to shine onto elements that you are looking to highlight for example you can point them at the cake, your special decorations, or shine onto the bride and groom to complement the lighting in the room and add some bright colours to your wedding reception. Imagine how beautiful that would look in the wedding photos! The lights are multi-coloured. 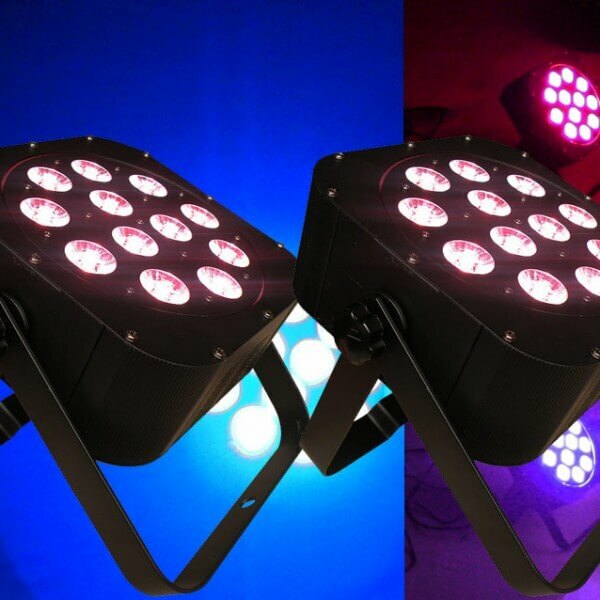 They have high powered LEDs in Red, Green, Blue, White and UV. This means you can use any combination of these colours to make any colours you want to create at your wedding. You can also dim them down if you think they might be too bright. So if you have a pink-themed wedding you can set the uplights to pink, or blue, or purple or any other colour you like. You can also use the UV feature as UV light to make whites glow. This could make the first dance look absolutely out of this world since -of course- a white wedding dress would be the first thing to glow! It’s quite surreal actually! We can also set the lights up for you so they change colours automatically. The effect is quite nice as the lights fade from one colour to the next. If you are looking for some movement and colour, this is a great way to do it. The lights will work all by themselves and don’t need any technical knowledge or anyone to operate them. The extra bonus here also is that those lights can be set up to move with the beat of the music, so during the dance segment of the wedding they can be flashing different colours right in sync with the beat of the dance music! So they’re effectively a disco light as well if you want to use them for that purpose! All that for ONLY $50!! All lighting that we provide comes with power leads, extension leads and all power boards you require so you don’t have to worry about any other equipment to get them working. The rate quoted here is based on one night hire. Sunday is not charged for, so if you need the lights on Saturday, you can pick up Saturday and return Monday at no extra charge. Equipment is available at our store address for local pick up. Book now to ensure the availability of the equipment for your chosen hire date.